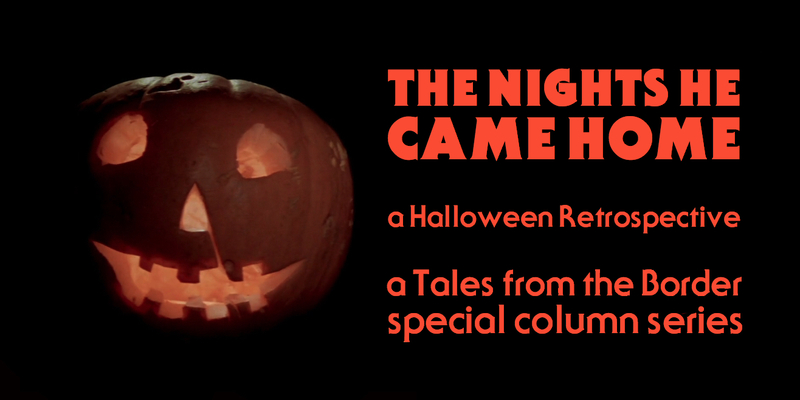 Welcome to the fifth part of The Nights He Came Home – A Halloween Retrospective! Over the course of October this new special column, in which I revisit all of the original Halloween films in anticipation of that most spooky season, will be running every Monday and Thursday. Then, beginning on the 26th of October, daily posts with the unifying theme of the horror genre will be posted, leading up to an article on my choice of the 10 greatest horror films ever made. Today we examine Halloween 5: The Revenge of Michael Myers (1989), which saw Michael Myers return to terrorise his niece Jamie Lloyd. For previous entries in this series, click here. Halloween 4: The Return of Michael Myers (1988) had been soapy, trashy fun. Unfortunately, the idiot plot of Halloween 5 prevents any such enjoyment as the series abandons all logic in plotting and characterisation in favour of Myers stalking a series of highly unlikeable teenage characters. So unlikeable, in fact, that it was a genuine pleasure to see some of them meet their grisly end. In what could be a homage to Halloween II (1981), the beginning of Halloween 5 recaps the end of the fourth film; this time showing that Michael actually escaped the mine and has been living in the care of a hermit for a full year. On Halloween eve of 1989, Michael awakes, kills the hermit, and begins to stalk Jamie Lloyd (Danielle Harris) once more with whom he has some sort of mystical connection that allows them to see each other at all times. Jamie, who has been in a children’s psychiatric ward since the ending of Halloween 4, is beseeched by Dr. Loomis (Donald Pleasence) to help him find Myers. Jamie’s sister Rachel (Ellie Cornell) and her friends get mixed up as fodder for Michael’s kitchen knife and all hell breaks loose. In many ways, Michael Myers killing these unlikeable teenagers is akin to a public service if you think about it. By far the biggest problem with Halloween 5 is the screenplay, written by Michael Jacobs, Shem Bitterman, and director Dominique Othenin-Girard. All the characters are completely idiotic. The only way the plot makes any sense at all is if all characters worked against their best self interests and had zero intelligence. There are numerous questions I had during the film – why is Halloween still a celebration in Haddonfield after two Halloween nights of relentless death? How does Dr. Loomis seem to know about Jamie’s mystical connection to Michael? Why does Michael spend over two-thirds of the film stalking teenagers and not Jamie when his goal has always been to kill his family members? The screenplay is unintelligible and does very little to answer any of these questions. I don’t expect much intelligence from a slasher sequel, but even here I feel it’s coming apart at the seams. The film still has hilariously brutal violence going for it though. The other really big problem is the new characterisation the filmmakers have decided to impart on Michael. When he hunts teenagers in this film it’s not so that he can find Jamie; for much of the film he’s just hunting teenagers. Whilst this was an aspect I really really liked about the first film, it doesn’t work at all here because of the story of the past four films. Michael hunts family members and will hunt others only if doing so helps him achieve his goal. Here he just wanders round a bit stabbing or impaling people. Also, this new angle of him having to kill Jamie to get rid of his “rage”, and thus trying to make him a sympathetic figure in relation to his niece is just not who Michael Myers is. He’s a psychopathic killer, not a tortured soul! The mask is also even more ridiculous here, with the neck flaring out completely. Not a good look for Mr. Myers. Jamie’s visions of Myers cause her to have epileptic fits in many moments in the film. Killing off Rachel Carruthers, played by Ellie Cornell also was an unwise choice. Rachel and Jamie were the likeable heroes of Halloween 4. By getting rid of Rachel I felt that dynamic was lost, and the film felt very empty after her character was killed off. I think Halloween 5, like Halloween III: Season of the Witch (1982) is a missed opportunity; rather than capitalising on the fantastic ending of the fourth film the filmmakers go for a safer option of making Michael Myers the only villain. Having Jamie as a young proto-Michael, or as his sidekick, would have been much more interesting for a sequel. But alas. Oh yeah, and who was that cowboy that kept showing up and broke out Michael at the end of the film? Completely weird subplot that never comes to fruition and is frankly pointless! Halloween 5 grossed $11.6 million on a budget of $3 million, making it the poorest performing Halloween film to date. The film went straight to video outside of the USA, and hasn’t had that great reception then or now. 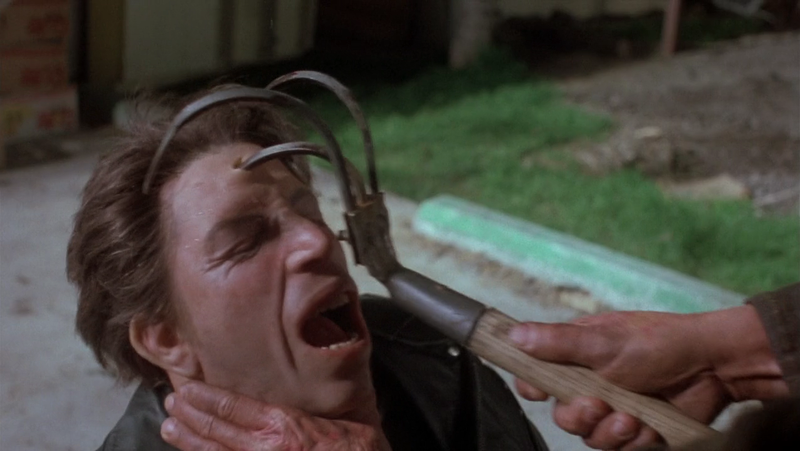 Ultimately Halloween 5 is just a complete mess, and not an endearing mess like Halloween 4. Rather it is stilted, incomprehensible, and at points just plain unlikeable. Whilst it is never the bore-out that Halloween III was, it’s certainly the worst Myers film I’ve seen yet. Next time on The Nights He Came Home, we jump forward to 1995’s Halloween: The Curse of Michael Myers as Michael Myers does battle once more with Donald Pleasence and… Ant Man?! See you next Monday! The whole ‘family’ element was always incidental. Carpenter tossed it in, and subsequent filmmakers felt obliged to acknowledge it. But it was always beside the point. Look at Halloween 2…they may have painted his primary objective as Laurie Strode, but he still operated as if that were secondary to taking out half of Haddonfield. It may have been better to simply have him kill at random…..I might have preferred that, myself….but the approach they took worked out in much the same way, anyhow. Whoever the central target happened to be, Myers would always slaughter almost everyone in their orbit, anyway. Having the family member be the primary target was a flimsy plot device, but the films wound up being about as effective as they would have been, in any event. You either like this kind of film, or you don’t. Halloween 1, 2, 4, and 5 made this premise work. 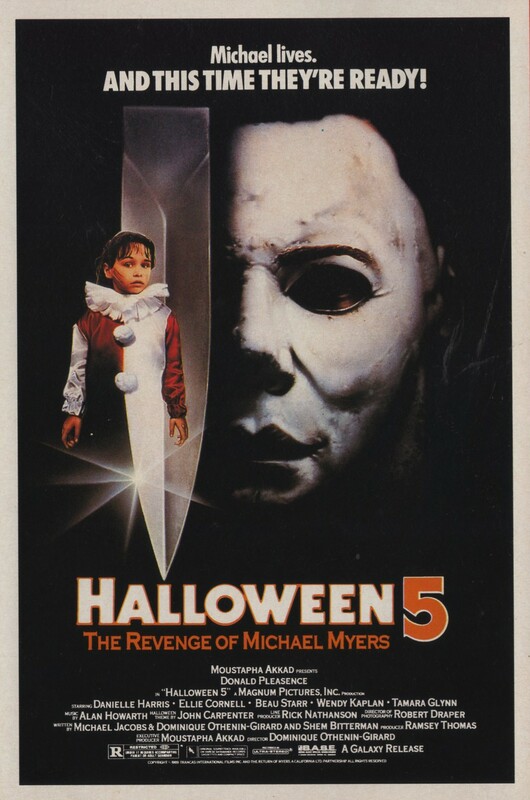 As for Halloween 5 being a missed opportunity…quite the reverse, in fact. Halloween 5 REDEEMED Halloween 4. They took the most egregious mistakes of part 4 and corrected them, and in so doing crafted one of the finest slasher films of all time. Halloween 5 is an absolute masterpiece.